Oh hey, Amy. So ... remember I told you it was difficult for me to get the time machine repaired so it would return you to the 21st century? Well, the good news is that I was able to obtain an increase of energy within the main verve nebulizer. Unfortunately, the bad news is that it wasn't enough to bring you back all the way to the present. Yes, you've ended up in the 1950s, but it was simply an unforeseen problem with the energy field. Plus, I think it's best if I give you some information regarding your new environment. Want me to fill you in now, or are you in too much of a huff to listen? No need to be sarcastic. I'm trying to help you, right? Okay, have a seat in the nice living room you ended up in and have a chat with the fellow in the white shoes while I get some information for you about the 1950s. No, there is no way you will find a computer or cell phone anywhere. They don't exist yet. The truth is, it might take me a while to get the time travel machine repaired, so you might want to hunker down for a spell. 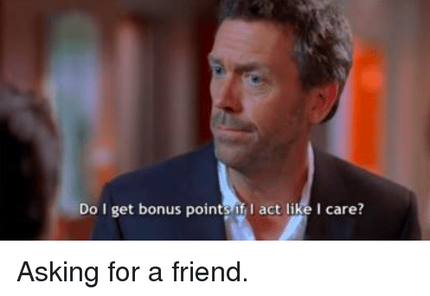 Yes, it would be wonderful if you'd at least pretend to care. Mid-century living may surprise you in more ways than one. Might I suggest getting a job? You know, temporarily. From the standpoint of the 1950s, it's common for a young woman your age to work in a diner as a server. Just don't call yourself a "server" because nobody will know what you're talking about. Trust me, it would be better for you to say "waitress" or perhaps "carhop" instead. In the 1950s, families are moving from the city in droves to bungalows where the average prize of a home in the suburbs is $8,000 - $10,000. They yearn for the space of land surrounding these homes, and the safety of the neighbourhoods where their children can freely play outside. The Baby Boom started in 1946, so there are a lot of children right now. Don't freak out when they tell you your pay will be 75 cents an hour. You will simply have to put it in perspective according to the cost of things in the 1950s. The cost of a hamburger meal is 25 cents. Eggs are 49 cents a dozen. An egg salad sandwich is 50 cents at Woolworths - where you can apply for a waitress job at the lunch counter. Just a suggestion. So good luck for now, Amy. Looks like the family you ended up with is, uh, friendly at least. Yeah, I hear you... they're ridiculously outdated. In the meantime, please try not to worry ... much.